Have you heard the phrase “hidden city” ticketing? Most probably not, mainly because airlines are against you know this and it leaves them in loosing money if it was publicized. The best part of this is that you have the right to do this and the airlines can’t stop you from saving money. 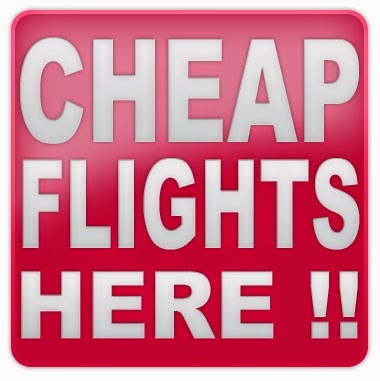 When I book airline tickets I play around the locations of airports to see where can I get the best deals to fly and I noticed a pattern of increasing prices based on big airports departures and arrivals. These big airports are hubs for connecting flights. But if you choose a local airport, which isn’t a hub the prices “miraculously” go down. So the “hidden city” ticketing method was developed by frugal individuals who just didn’t want to pay the increasing airfares that airlines seems to have no problem charging us. If you have a a lot of residency interviews then this could be a great way to save money while you travel. 2. Must only have carry-on luggage. NOTE: It doesn’t always work, and sometimes direct flights can be cheaper than the hidden city ticketing method. 1. Choose an airport of departure. 2. Find the local airport in the same state or close proximity of the connecting hub airport. Make sure you choose a connecting flights, if the option is there. 3. Choose the local airport. 4. Try to see which ticket will allow you to connect to the city of your actual destination. Let’s say you want to go from Chicago to Dallas, and the tickets are expensive for direct flight between the two cities. Choose Chicago as your departing airport and choose a local town near Dallas like Norman or Tulsa. If they give you an option of connecting through an airport in Dallas to go to the airports nearby then choose that. After you arrive at Dallas for connecting flight, you just grab you carry-on and just walk out of the airport; you got your airfare deal and you’re on your way. Airlines hate this because it just leaves an empty seat in the connecting flight. If they only had cheaper tickets then people wouldn’t have to resort to this, especially for us students. I hope this helps in getting deals.